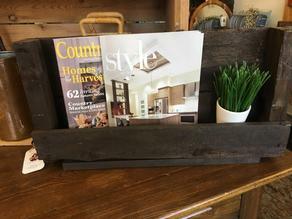 This rustic pallet shelf will add country charm to any room. Great in the bathroom for magazines and face clothes. Measures 22”w x 4”d x 12”h. Priced at $42.